﻿A gift of giving, every person would truly love. A luxurious treat & an excuse to escape from the hustle & bustle of this busy world to enter into our sanctuary for pure relaxation. 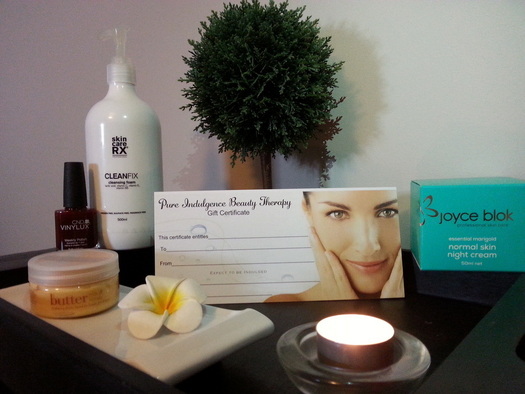 Pure Indulgence Beauty Therapy Gift Vouchers are available in a dollar value or for a specific treatment. *Please ensure that the details on your voucher are correct and you are purchasing this voucher for redemeption at Pure Indulgence Beauty Therapy in Christchurch. If you wish to exchange the PDF voucher for a hard copy of a Pure Indulgence voucher, please contact us directly to arrange this.